Home Society Human Rights Heckuvajob, Iris! Who said people can’t have a good time during a prison riot? 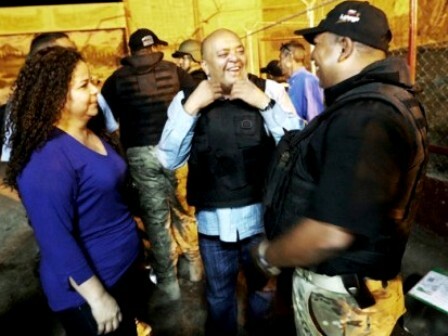 Prisons Minister Iris Varela admitted in an interview with Últimas Noticias that their staff have access to only seven of the thirty prisons active in Venezuela today. She also blamed last month’s events in Uribana to possible score-setting between “negative leaders” (pranes). So, what was the point then of having a dozen military tanks outside of the prison at the time? The UN interview (with video) is here.